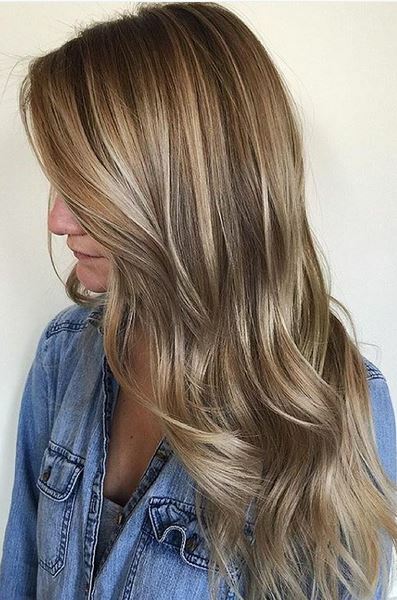 A beige toned balayage – this color is so natural it allows for time between hair appointments. What color(s) did you use on her? I love how you blend the warm and cool colors so the end result looks completely natural. What is her base color? My base looks about like hers. Beautiful!